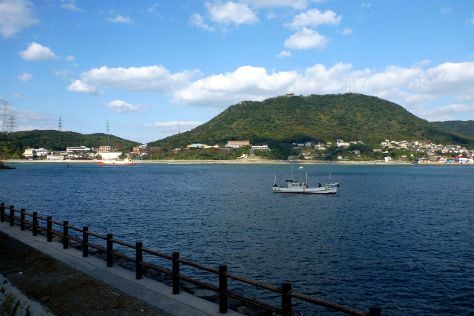 Visiting Kanmon Kaikyo and Shikanoshima will get you outdoors. Satisfy your inner culture vulture at Nishijin Shopping District and Fukuoka City Museum. Change things up with these side-trips from Fukuoka: Kitakyushu (Mekari Shrine, Kitakyushu Museum of Natural History & Human History, & more) and Nanzoin (in Sasaguri-machi). There's still lots to do: view the masterpieces at ACROS Fukuoka Foundation, don't miss a visit to Hakata Station, tour the pleasant surroundings at Momochi Seaside Park, and take in the spiritual surroundings of Hakozakigu. To find traveler tips, photos, where to stay, and more tourist information, you can read our Fukuoka custom trip planner. New Delhi, India to Fukuoka is an approximately 13.5-hour flight. You'll lose 3 hours traveling from New Delhi to Fukuoka due to the time zone difference. When traveling from New Delhi in February, plan for cooler days in Fukuoka, with highs around 12°C, while nights are a bit cooler with lows around 3°C. Wrap up your sightseeing by early afternoon on the 25th (Sat) to allow enough time to travel back home.